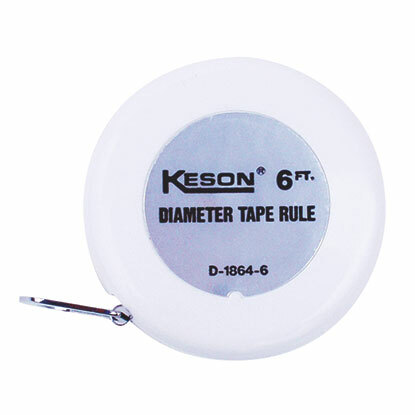 The diameter of a circular object, like a tree or a pipe, is easily measured using a Keson diameter tape measure. 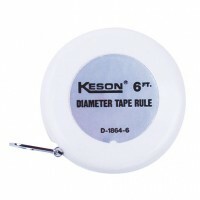 The tape is calibrated in units of 3.14(pi) inches. 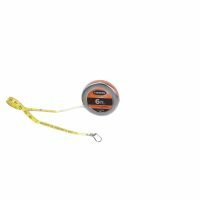 The tape is actually measuring the tree or pipe’s circumference, but the units on the tape are adjusted by pi enabling you to get a diameter by wrapping this tape around a circular object. 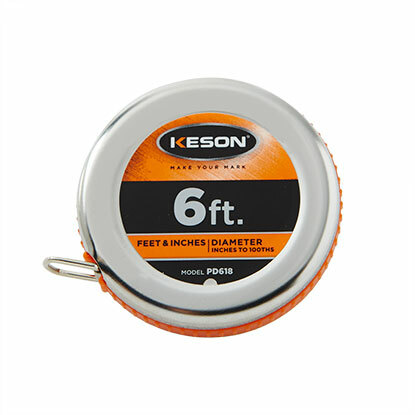 Our PD618 is a stainless steel case which features a reflective surface and textured rubber grip to keep the tape from slipping. 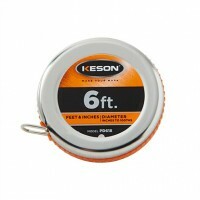 Our D18646 is a plastic case for the same type of blade.